This chic 1920s hotel overlooks La Croisette, Cannes' famous promenade near the Mediterranean sea; Palais des Festivals is a 10-minute walk away. Freindly receptions clean rooms fresh towels. Nice and rich breakfast. 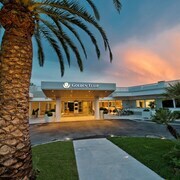 Which hotels are closest to the Cannes airport? 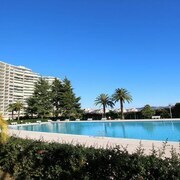 Can you find accommodation in popular areas of Cannes? 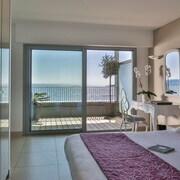 Where to stay near top Cannes attractions? What kind of hotels are in Cannes? 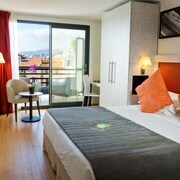 Which hotel chains are in Cannes? Families will find kid-friendly activities in Cannes, and visitors give high marks for the beaches, shopping, and top-notch restaurants. This city also attracts tourists with its cafés, local tours, and golf courses. 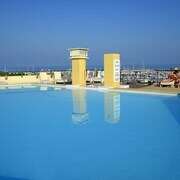 Top sights in the city include Palace of Festivals and Congress Hall, La Croisette, and Juan-les-Pins Beach. 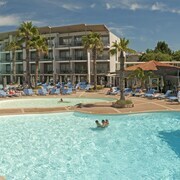 Families come for attractions such as Marineland Antibes, Nautipolis Aquatic Complex, and Antibes Land. The city's natural setting is picturesque, including the beaches and these places to visit: Juan-les-Pins Beach, Mace Beach, and Gazagnaire Beach. Shopping is one of the favorite things to do, so consider an excursion to La Croisette, Forville Provencal Food Market, and Rue d'Antibes. 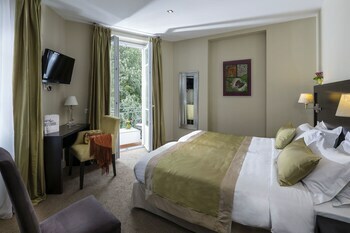 Les Rosées - Amenities at this bed & breakfast include a restaurant and free WiFi. 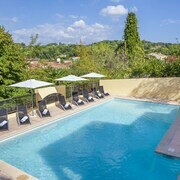 Terre Blanche Hotel Spa Golf Resort - Our customers like the helpful staff and location at this hotel. This 5-star hotel features a full-service spa, a golf course, and 4 restaurants. 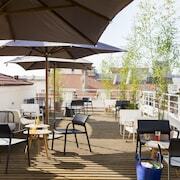 Hotel Esperanto - This 2-star hotel features free WiFi, parking, and a terrace. 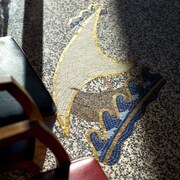 Other top sights in Cannes include Palace of Festivals and Congress Hall and International Perfume Museum. Outside the city, popular places to see include Chateau Grimaldi, located 10.1 mi (16.3 from the city center, and Allianz Riviera, which is 13.8 mi (22.2 away. If you want to see more of the area, ride aboard a train from Cannes Station, Cannes-la-Bocca Station, or Vallauris Station. Cannes might not have many public transit choices so consider renting a car to explore the city. 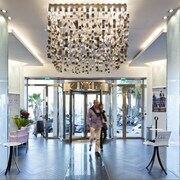 What are the most popular hotels in Cannes? 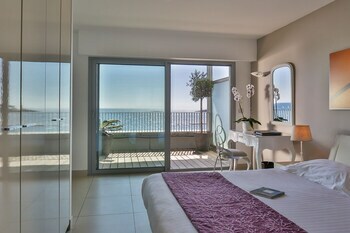 Are there hotels in cities near Cannes? 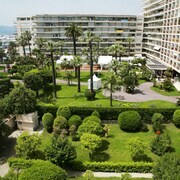 Explore Cannes with Expedia.com.au’s Travel Guides to find the best flights, cars, holiday packages and more!